US, 1973, 99 minutes, Colour. Elizabeth Taylor, Henry Fonda, Helmut Berger, Keith Baxter. Ash Wednesday means that the carnival of Mardi Gras is over, and Lenten restrictions and penance begin - a bit sombre to give significance to a title for what is really a new example of the old Hollywood "woman's picture": a sad wife, a philandering husband and her attempts to win him back. This time an ageing Elizabeth Taylor undergoes surgery to make her look 40 again. Henry Fonda plays the dissatisfied husband and Helmut Berger is a temptation to believe in renewed youth. It will appeal to audiences fond of sentimental anguish played out against Alpine backgrounds and piano accompaniment. And it provides Elizabeth Taylor with a wardrobe array which she wears beautifully. 1. What was the meaning and overtone of the title? The lady of T.S. Eliot's poem? The beginning of Lent? 2. This is considered a woman's picture. Why? What special ingredients would make it a woman's film? 3. Comment on the effect of the music, the piano playing, the Alpine settings and the rich, fashionable, background; on Elizabeth Taylor's wardrobe, the dresses, on the quality of the dialogue. What did these ingredients add to the meaning and mood of the film? Did they contribute to its being a woman's film? 4. Comment on the effectiveness of the collage of photos during the credits. What mood did this set? How did it recapitulate the lives of the main characters? How did it indicate the quality of their relationship in marriage? 5. What were your first impressions of Barbara? What kind of a life had she had so far? Was she a warm loving character? Why was she undergoing the operation? Why was she afraid? Why had she not told her husband? 6. What reasons were there for her to have the operation? The main reasons against it? Are you in favour of such operations? Are they a help to the person concerned? Are they an attempt to escape from reality? Are they selfish? Was Barbara selfish in her operation? Was she doing this for herself or for her husband? 7. How effectively was the operation filmed? Why such a concentration of detail and close up? Did this photographing of the operation serve as an argument for or against the operation? Did it make the operation attractive? How much suffering was involved? 8. The character of David. What was his purpose in the film? How did he illustrate the nature of the operations and their success? How did he serve as a kind of chorus to the theme of the film? How well did he relate to Barbara? How did he help her to readjust to her life? Was he a benign character for the film? 9. Why was there such a gulf in the marriage between Barbara and Mark? How was this symbolised in the difficulty of their telephone calls? In Mark's evasiveness? why did mark not love Barbara? Why did she still love him? 10. How was this illustrated in the relationship between Barbara and her daughter? (Note how the two characters were made to look alike.) How effective was this? The daughter's marriage was broken. How did this reflect on Barbara's situation? What support did her daughter give her? The love between the two? Did her daughter's advice help her to make decisions as to how she would live? 11. How did Barbara enjoy the new life to which she was introduced? Was she youthful again? Was it merely an external change or was she changed internally? The attractiveness of Erich? why did she look down on him at first? Why was she afraid of him? Did she realise the possibilities of relationship with a younger man? Why did she resist him at first? Why did she give in to him? What was the effect of this on her? 12. What attempts should have been made to save the marriage? Was Mark an attractive character? How interesting was he? Was his character well developed for the film? Why did Mark refuse to reunite with Barbara? Even his reaction to her operation? 13. 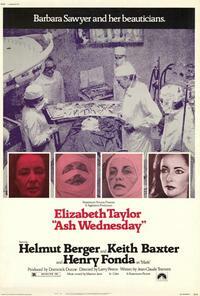 The final sequences took place on Mardi Gras, Tuesday, and on Ash Wednesday? How was this symbolic? Mardi Gras is the end of the carnival season? Ash Wednesday the beginning of Lent? Was this the beginning of Barbara's Lent or not? How was this summed up in their walk down the street - the singing and the forced singing, one in black, one in white, the playing with the balloon and the bursting of the balloon? 14. What future did Barbara have? Would she find a new life? Would she soon grow~ old? Would she despair? 15. What values were explored in this film? Was it a strong exploration of values?